With the passing of Steve Jobs, we will observe a moment of silence in remembrance. After that we plan to have a lively and raucous meeting celebrating his legacy and the wonderful Apple products we all love, in particular the latest offerings from Apple. We will begin at 9:30 with the Question and Answer session. Next, there will be a short segment on "Apple After Steve Jobs; The Next 35 Years." After a short coffee break, the main presentation begin and it will cover the recent Apple announcements of the new iPhone and its associated operating system iOS 5. We should have a new iPhone 4S (or two) to ogle and drool over while we provided a full review of iOS 5 running on an iPad 2. After a lunch break, the Mobile Lifestyle SIG will pick up where the main meeting leaves off as we delve further into iOS 5. 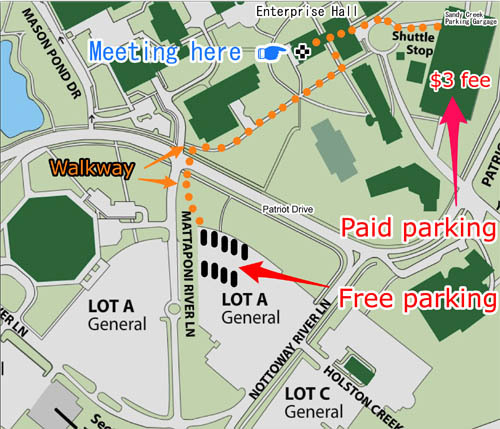 The meeting will be held at our usual location, the Enterprise building, Room 178 on the George Mason University campus in Fairfax VA. Check back closer to the meeting date for any updates or changes. We will again stream the Q&A session and main presentation on the Pi's Ustream Web page.